Sales at highest pace in 9 years, prices up, inventory down, interest rates low, what could be better for the real estate market? Like the fellow says, every silver lining has a cloud or two. At the risk of being like the proverbial skunk at a garden party, here is my somewhat contrarian view. I think there is a correction coming in house prices because all markets have cycles. A down period from time to time is inevitable. I do not know if we are at the peak now (most experts see prices going up for the next 5 years) and the drivers that produced the last bubble (fog a mirror, you get a mortgage) are not present. But standards are looser than I would like to see (minimum 580 credit score and 3% down). What really shivers my timbers is the fact that mortgage lending is basically a federal government monopoly. Sooner or later, if that persists, that will be used for political purposes and we will have another bubble. But, for right now, this is still probably the best chance we will have for the rest of our home buying lifetimes to buy that first house or make a move up buy! Stay tuned. The crystal ball is cloudy and updates could come at any time. 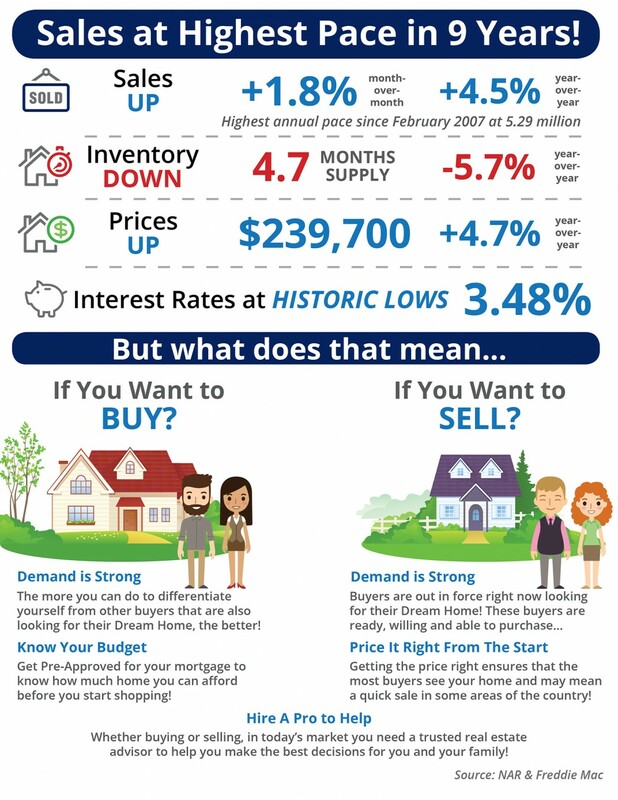 This entry was posted in Move Up Buyers, Sellers and tagged buying a house, first time buyers, move up buy, price appreciation, price meltdown, price trends, sales trends. Bookmark the permalink.